Operation Union II was a military operation that took place in the Vietnam War. It was a search and destroy mission in the Que Son Valley carried out by the 5th Marine Regiment. Launched on May 26, 1967 the operation ended June 5. The North Vietnamese Army (known to the U.S. Army as the NVA but properly the People's Army of Vietnam or PAVN) lost 701 killed and 23 captured, while U.S. casualties were 110 killed and 241 wounded. 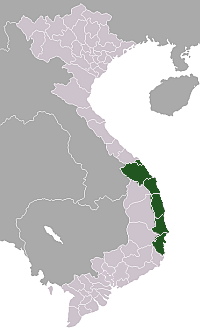 Populous and rice-rich, the valley was viewed as one of the keys to controlling South Vietnam's five northern provinces by the communists and by early 1967 at least two regiments of the 2nd Division of the People’s Army of Vietnam had been infiltrated into the area. The Que Son Valley was also recognized as strategically important by the U.S. Military Assistance Command, Vietnam (MACV). 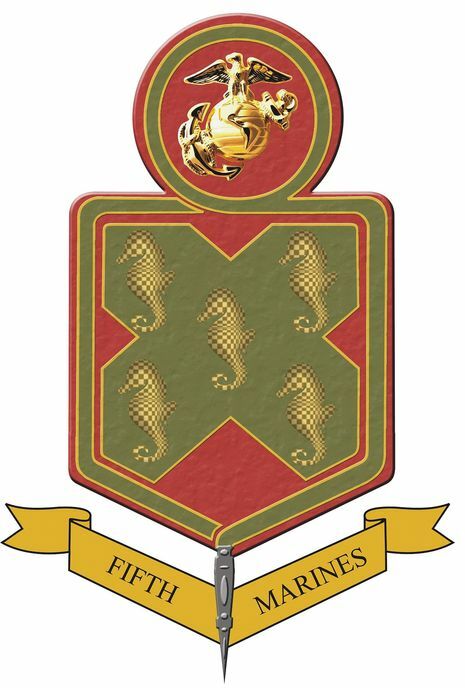 The 1st Battalion, 5th Marines (1/5) and 3rd Battalion, 5th Marines (3/5), experienced units that had fought in Vietnam since their arrival in the summer of 1966, were assigned to the valley in 1967 to support the outnumbered the South Vietnamese Army (ARVN) forces in the area. During Operation Union, April 21 to May 16, the 3rd Battalion, 1st Marines had fought the PAVN 21st Regiment near the Marine outpost on Loc Son Mountain for control of the southern part of the Que Son Valley. Operation Union II was launched on May 26 to destroy the withdrawing remnants of the PAVN with a helicopter assault by the U.S. 5th Marine Regiment, commanded by Colonel Kenneth Houghton. The assault was coordinated with ground attacks by the 6th ARVN Regiment and the 1st ARVN Ranger Group. The plan called for 1/5, commanded by Lieutenant Colonel Hilgartner, to establish blocking positions in the western portion of the valley while the 3/5, commanded by Lieutenant Colonel Esslinger, was to make a heliborne assault into the southern part of the valley and sweep northeast. Meanwhile the three battalions of the ARVN Ranger Group would attack southwest from Thang Binh, while two units of the 6th ARVN Regiment attacked northwest from a position near Tam Ky. The ARVN named their part of the operation Lien Kit 106. The operation began the morning of the 26th with the 1/5 and ARVN troop movements proceeding as planned. 3/5, composed of three infantry companies, one weapons company and a command group, was carried by helicopters to Landing Zone Eagle, an area five kilometers east of the Loc Son outpost. The first two waves to arrive at the landing zone (LZ) experienced only light small arms fire, but as the bulk of the battalion landed the LZ was subjected to heavy weapon and mortar fire. An attack by Lima and Mike Companies launched to relieve the pressure on the LZ found a well-entrenched PAVN force, determined to be elements of the PAVN 3rd Regiment, northeast of the landing zone. Supported by artillery and air strikes, India Company enveloped the PAVN's flank, and the Marines soon gained the upper hand. By the late afternoon the Marines had overrun the last PAVN positions, counting PAVN 118 dead for a Marine loss of 38 killed and 82 wounded. The Marine and ARVN forces swept the area for the next three days but contacts declined as the PAVN withdrew from the area. Concluding that the enemy had been routed, the ARVN ended their part of the operation. Colonel Houghton however was not convinced and responding to intelligence reports he directed the 5th Marines to continue sweeping the region. On the morning of June 2nd the Regiment was sweeping toward the Vinh Huy Village complex. 3rd Battalion 1st Marines encountered 200 PAVN troops entrenched 1,000 meters east of the scene of the May 26th battle, engaging and overrunning the PAVN by 1:30 that afternoon. Meanwhile the 1st Battalion, pushing forward to relieve pressure on the 3rd, was ambushed by PAVN troops while crossing a 1,000-meter-wide rice paddy. Caught in a crossfire the Marines were pinned down and consolidated their positions while calling artillery and air strikes on enemy positions. During heavy fighting Foxtrot Company, commanded by Captain James A. Graham, was decimated. Captain Graham was awarded a posthumous Medal of Honor for defending to the last his company’s dead and wounded. At 2 p.m. Colonel Houghton called for the commitment of the division reserve, the 2nd Battalion 5th Marines (2/5) commanded by Lieutenant Colonel Mallett C. Jackson, Jr. At 7 p.m. 2/5 was inserted by helicopter northeast of the enemy position, planning to drive south into the PAVN’s left flank. Landing unopposed, they quickly moved to the relief of the 1st battalion, encountering a PAVN force and engaging it in battle. The unwelcome discovery of a strong enemy force on its northern flank prompted the PAVN forces to attempt a hasty withdrawal during the night, exposing themselves to Marine supporting arms fire. Meanwhile the 5th Marines regrouped and evacuated casualties. The following morning, when the battalions swept the battle area, 476 PAVN dead were discovered in and around the contested rice paddy and its formidable hedgerow complex. The Marines themselves suffered 71 killed and 139 wounded in the battle. Leaving a rear guard to slow pursuit, the main body of the PAVN withdrew rapidly, escaping to rearm and refit, a process that would eventually allow them to launch new attacks in September. The entire 5th Regiment received the Presidential Unit Citation (US) awarded by President Lyndon Johnson. Enemy tactics during Operation UNION II featured small unit actions carried out by the Viet Cong, designed to draw Marine forces into killing grounds defended by large NVA forces, the same strategy they used during UNION I. Individual guerilla snipers or small units of VC harassed and harried the Marines, knowing that the Marines would always assault forward toward the enemy locations. The NVA would try to use the element of surprise, and would hit the Marines hard trying to inflict as much death and destruction as possible; and then they would do their best to evade the heavy firepower that the Marines would inevitably bring to bear.